Reserving a crewed charter yacht is much like renting a private villa; the owner must set aside that time for you alone. For this reason, a substantial nonrefundable deposit is required at the time of booking. Travel insurance is available through Blue Horizon Travel & Yacht Charters, and we highly recommended it at the time you make your deposit, in case you have to cancel for medical reasons or unforeseen circumstances. 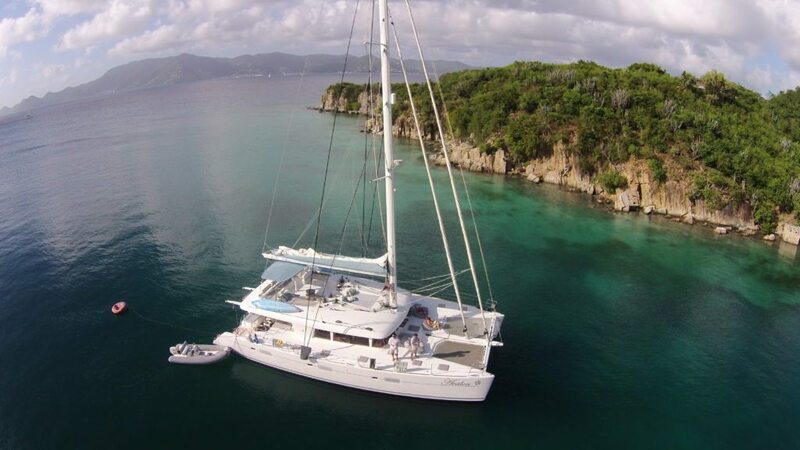 Our Virgin Island and Southern Caribbean luxury yacht charters book up quickly. For the best selection, plan on making your reservations many months in advance. For a reservation more than six months in advance, a 25 percent deposit is required. For less than six months, a 50 percent deposit is required. Once you have paid the deposit and the contract is signed between you and the captain, your price will never change. Final payment is due to our office 60 days prior to departure. Confirmation of your yacht charter reservation can only be given when we receive your deposit and signed contract in our office. However, if you find a yacht that you like, we can put a working hold on it for seven days while you are making your decision. Reservations may be made through your local travel agent or directly with Blue Horizon Travel & Yacht Charters by calling 800-939-4334 or emailing us at vacation@bluehorizon.net. To view and print our yacht charter contract, click here. You will need to have Adobe Acrobat Reader or another PDF viewer installed on your computer to view the contract. To view and print our credit card authorization form, click here. You will need to have Adobe Acrobat Reader or another PDF viewer installed on your computer to view the form.